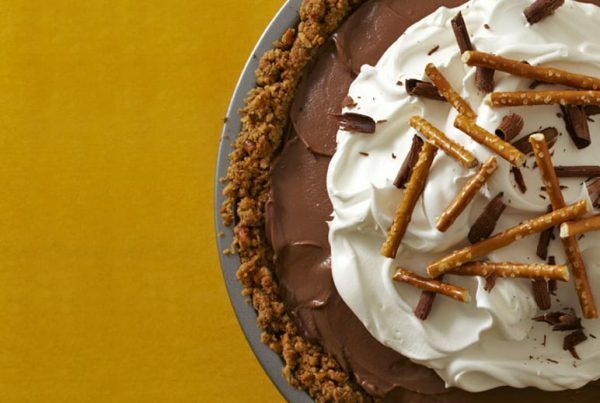 Even if you love pumpkin, you’ll die for these 14 non pumpkin fall recipes. 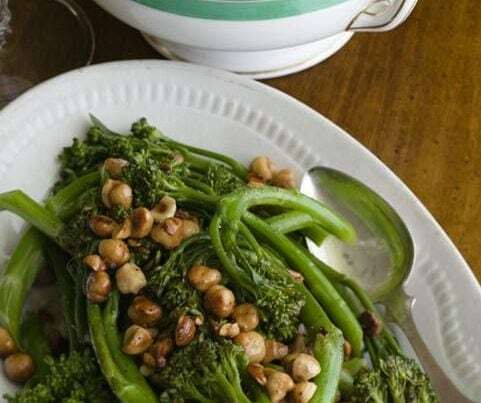 The season is full of other great flavors and ingredients like apples, veggies, sweet maple and spices that make the best treats and comfort food. 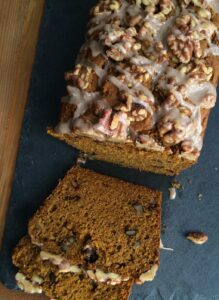 With all the pumpkin spiced lattes, pumpkin cookies and pumpkin everything going around, I wanted to remind you of some other delicious fall recipes. Don’t get me wrong, I love pumpkin! 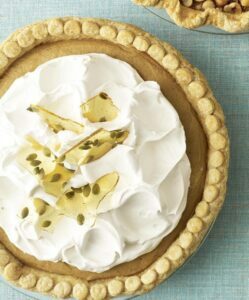 I dig a marshmallow pumpkin on top of a cupcake, my pumpkin cake roll is divine, and this pumpkin cream pie will make you happier than ever! 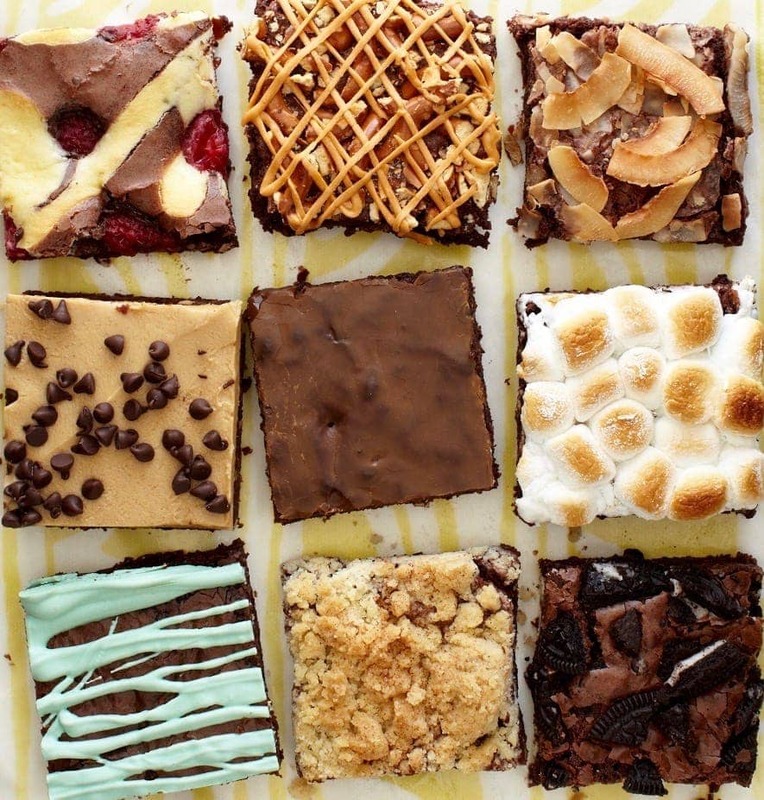 But, what about all of the other star-studded fall comfort foods? Here are some other delicious non pumpkin recipes for the season you’ve got to try! 1. 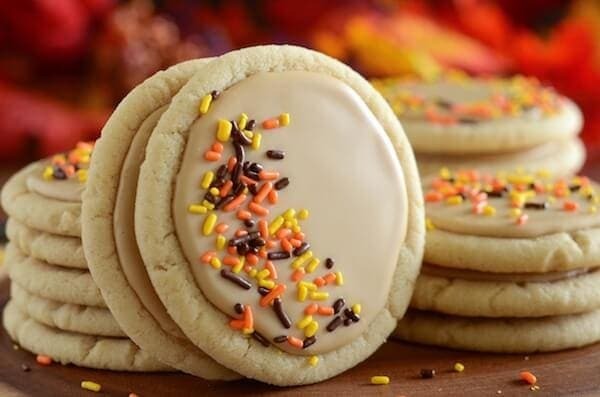 Soft Maple Sugar Cookies These cookies look fantastic! And they taste like fall! 2. 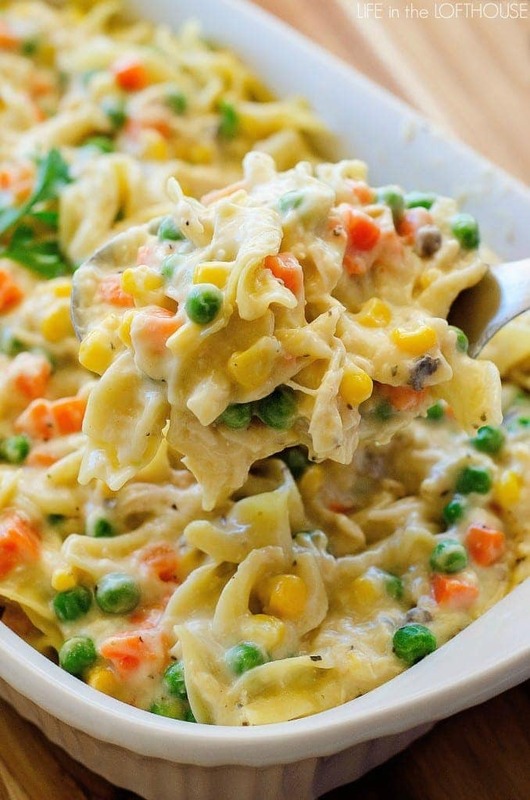 Chicken Noodle Casserole This casserole is classic comfort food that’s ready with only 10 minutes prep. 3. 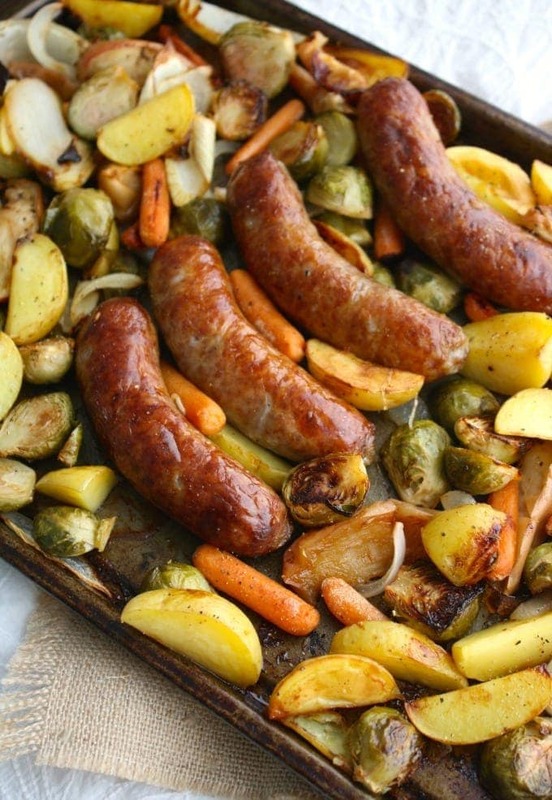 Sheet Pan Brats with Roasted Vegetables This festive meal is full of flavor. Brussel sprouts, apples and spicy bratwurst make a dinner that’s easy to make and even easier to eat! 4. 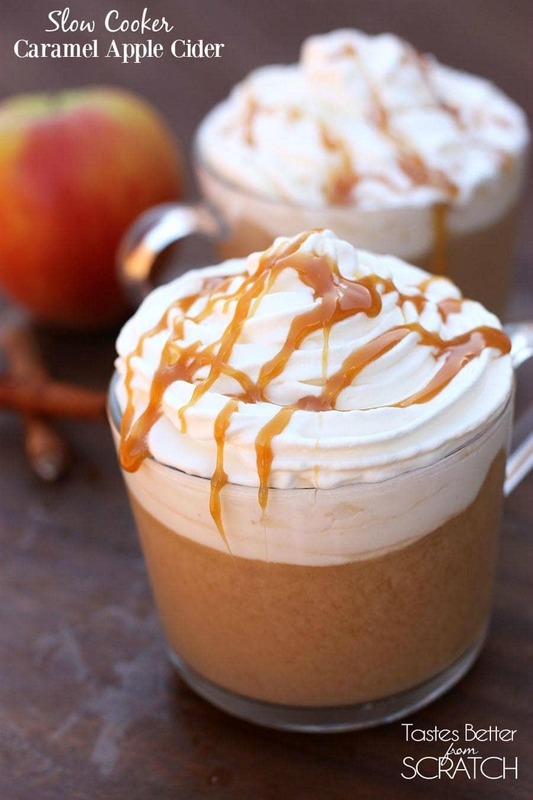 Slow Cooker Caramel Apple Cider Forget Pumpkin Lattes – at least long enough to try this Caramel Apple Cider! Just imagine how wonderful your house will smell after this simmers for 6 hours. 5. 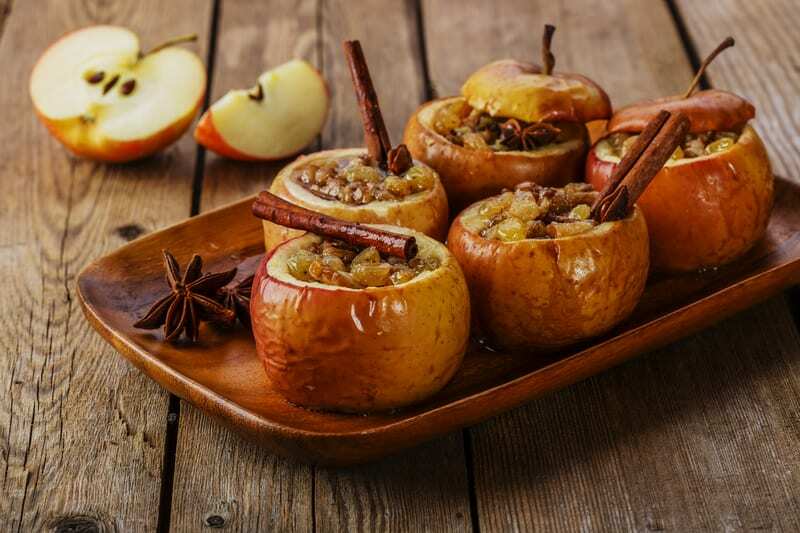 Baked Honeycrisp Apples Don’t let baked apples intimidate you. 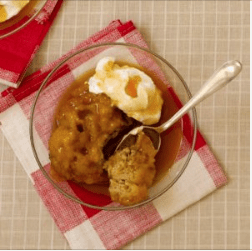 Worthing Court Blog’s recipe is easy to prepare and looks tasty! 6. Minestrone Soup I love fall because I finally get to make soup. 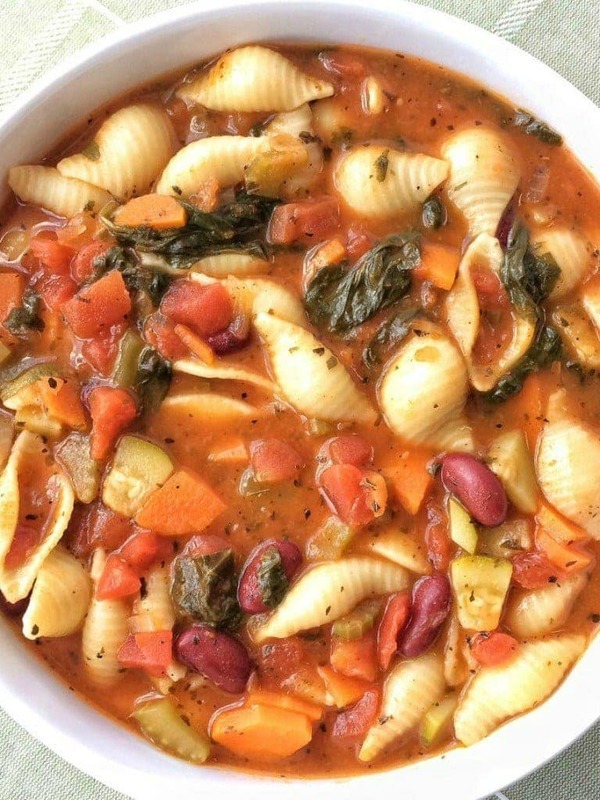 Minestrone is a healthy option that’s still delicious! 7. 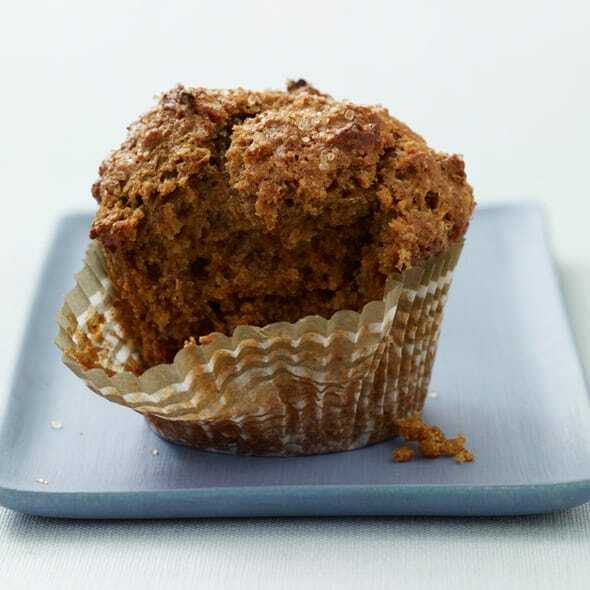 Spiced Gingerbread Oatmeal It’s never too early for a little gingerbread! 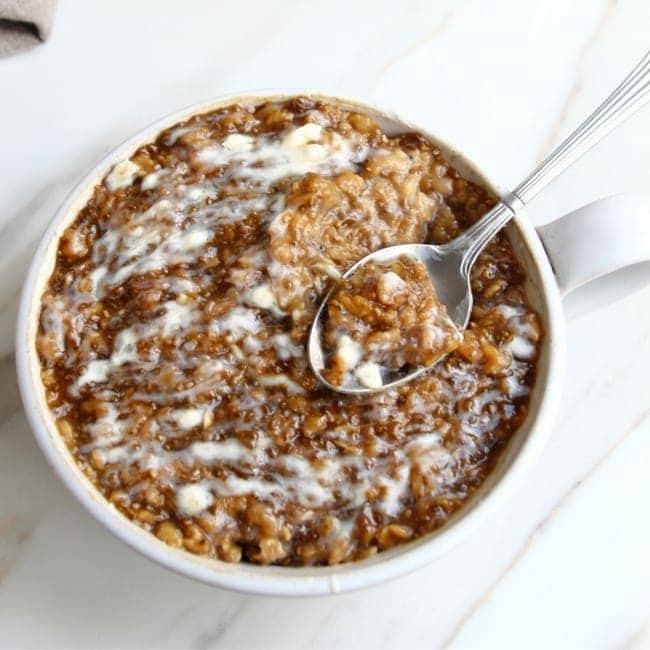 Throw a little molasses and allspice in your oatmeal and you’re all set. 8. 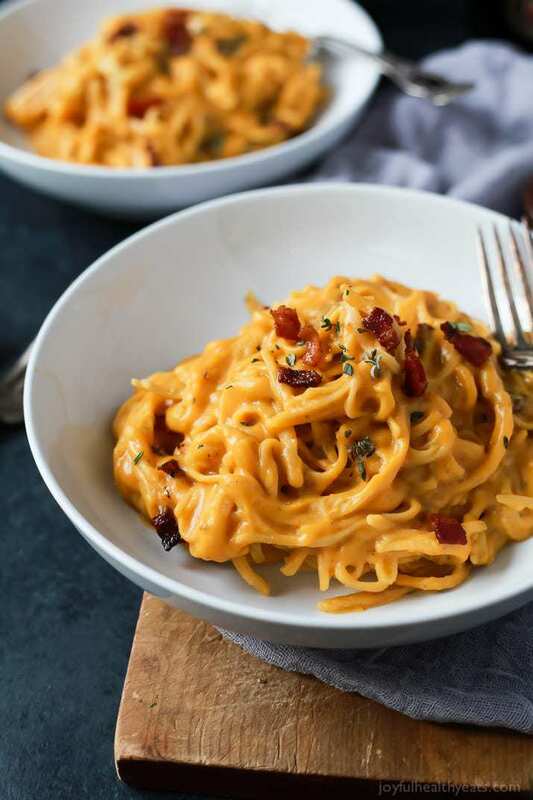 Creamy Butternut Squash Alfredo Pasta I love the nutty flavor of butternut squash. It puts a fresh spin on pasta alfredo! Fall comfort food is downright the best! 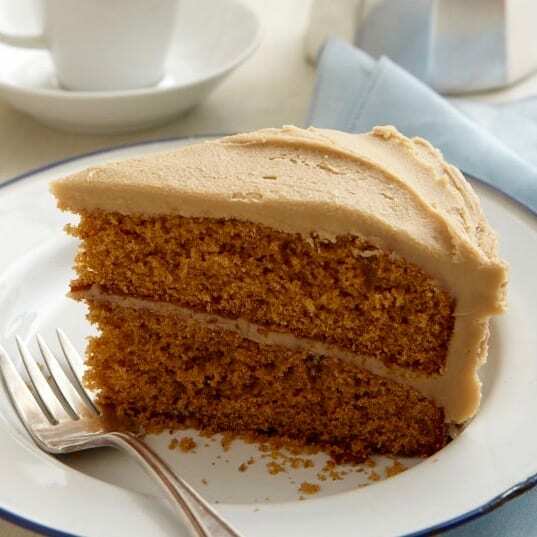 Make some of these non pumpkin recipes in between your spiced pumpkin treats. 9. 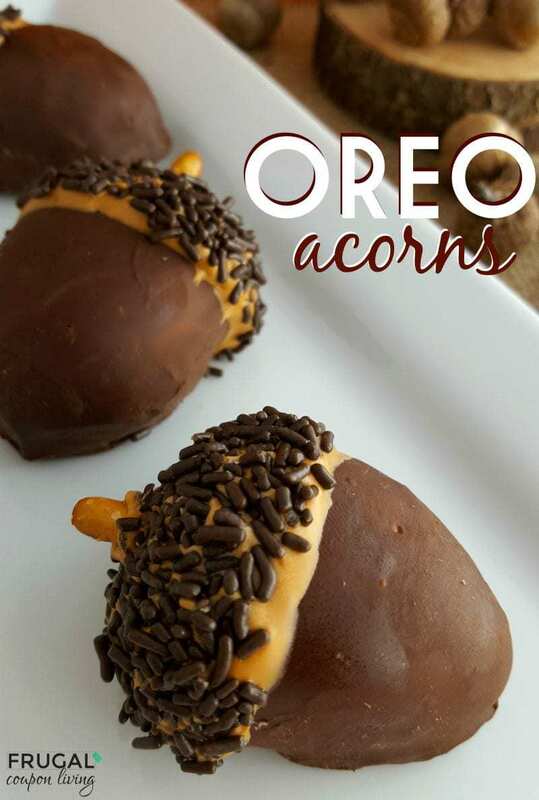 Oreo Acorns If you need a fun activity for your kids this fall, these Oreo Acorns are just the thing. They can help you roll, dip and decorate! 10. 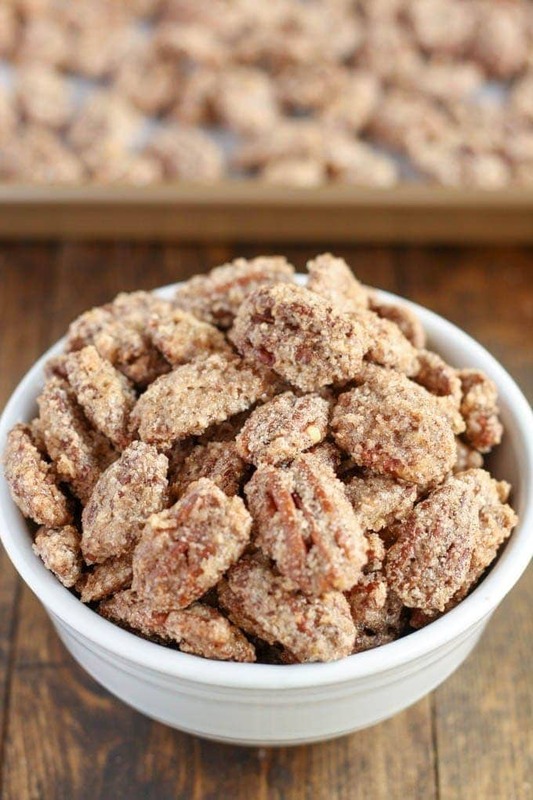 Candied Pecans I love snacking on pecans! You can whip up these tasty pecans in no time and it makes a ton. 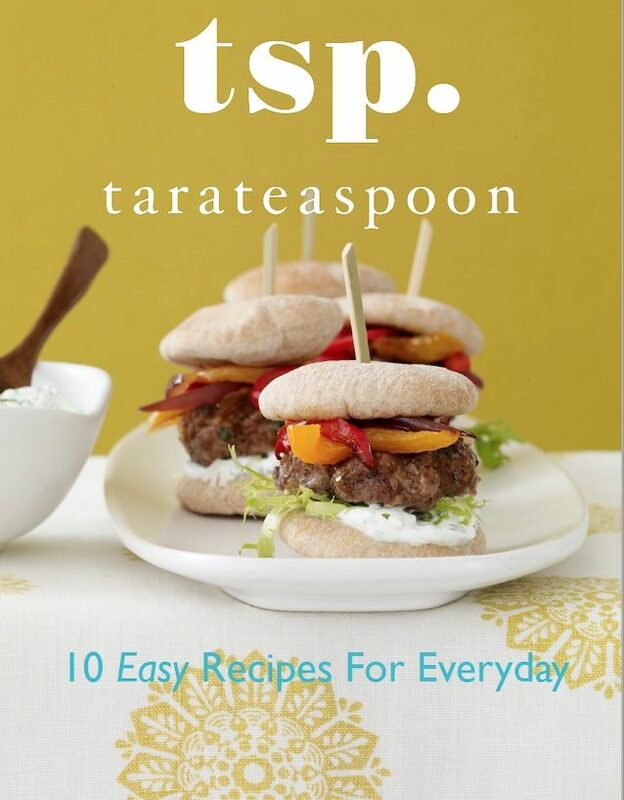 So you’ll have plenty to share with your friends and family. 11. 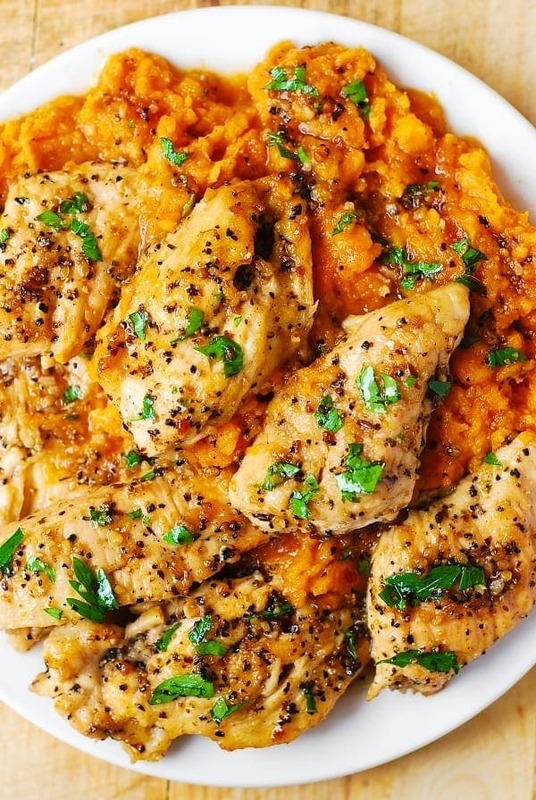 Maple-Glazed Chicken with Sweet Potatoes This is a great 30-minute fall meal! The sweet maple syrup and savory chicken makes one yummy combo. 12. Spiced Fruit Bake Here’s another fall-flavored breakfast. 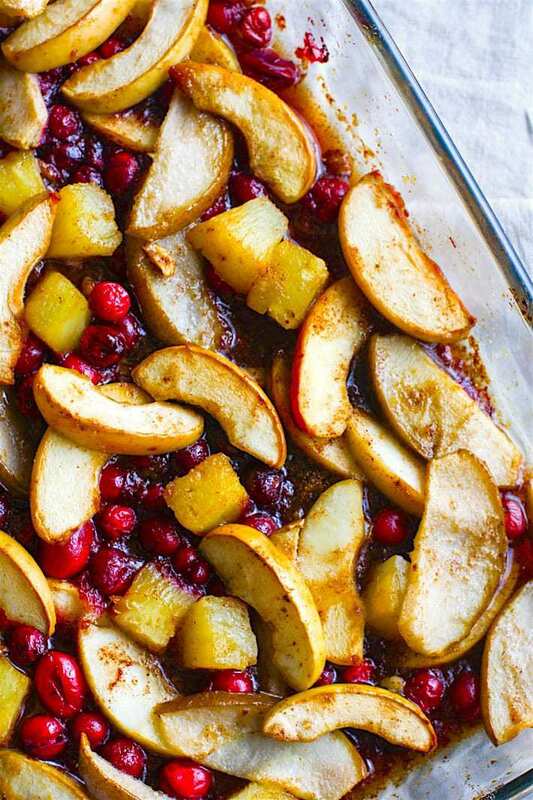 It’s packed full of apples, pineapple and cranberries. Tasty and guilt-free. 13. Slow-Cocker Chili Mac This meal is extreme comfort food. 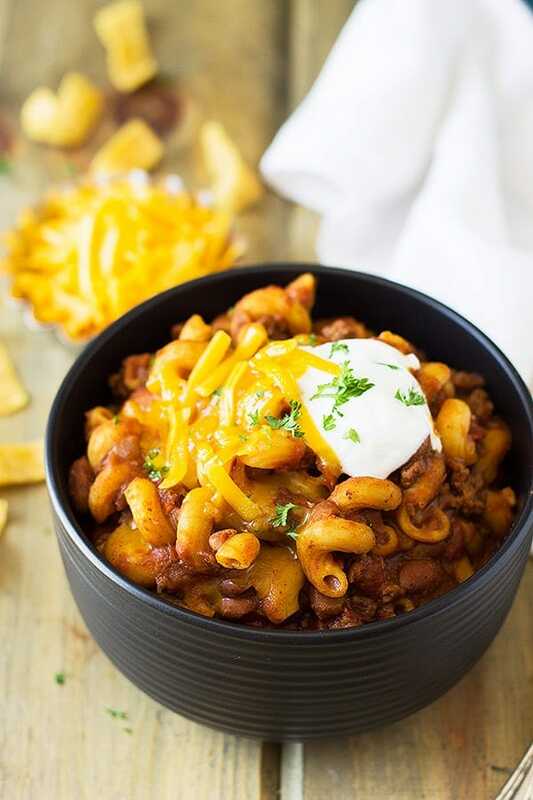 You’re only three steps away from curling up on the couch with a steaming bowl of this chili mac, so get to it! 14. 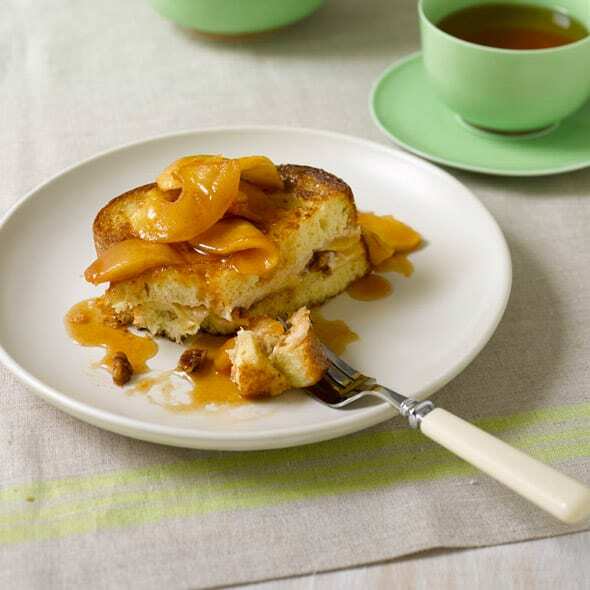 Apple Cream Cheese-Stuffed French Toast Make this french toast for breakfast or a night it. I love whipping it up when it’s cold and rainy. It always hits the spot. 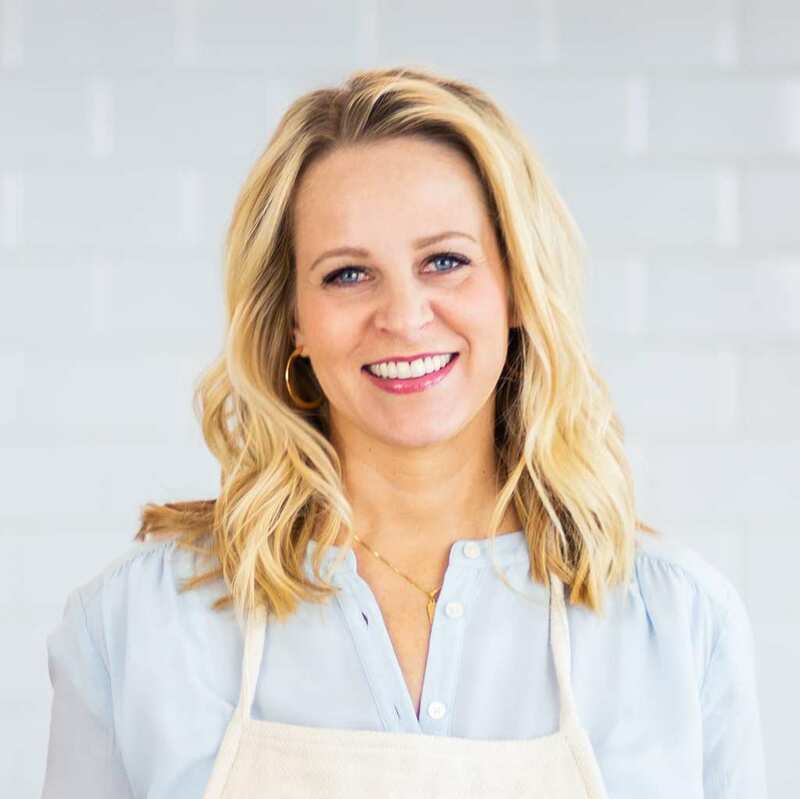 Check Out More Of My Fall Food Recipes! 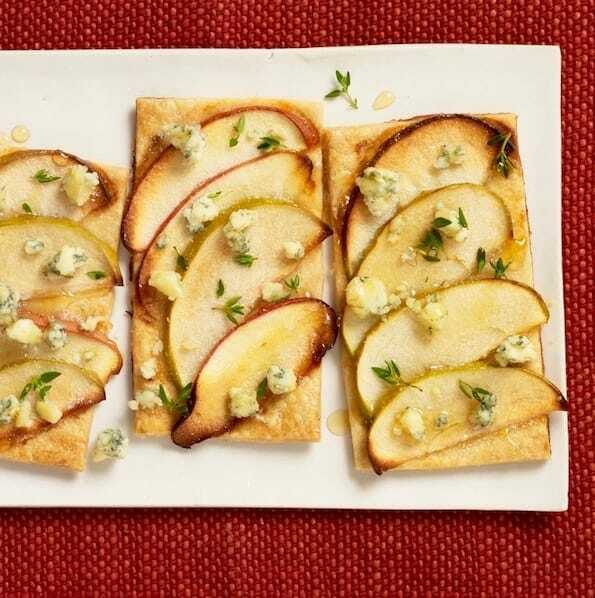 This fun dessert is double apple! Fresh apples in the dumplings and apple cider sauce. 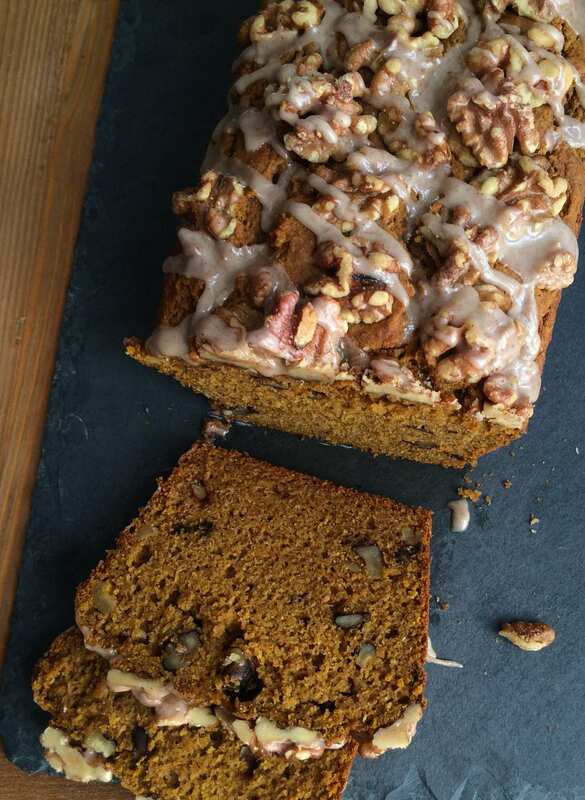 I’m definitely one of those humans who love pumpkin but these recipes look divine! !